We have put together a quick guide for WordPress sites that covers how you can both make sure you are instantly notified of a contact form message, and also that all contact form messages will be securely logged so you will never lose them – even if you have an email connectivity problem. There are various ways you can do this – and it depends on what type of device, software or alert type that you think will be best for you or your team. Let’s start with the basics… On your desktop, make sure you have email notifications set up. If you are using Gmail/Google Apps you can use a Gmail notification plugin for your browser. For your phone/tablet, make sure you have a suitable email app installed with notifications. 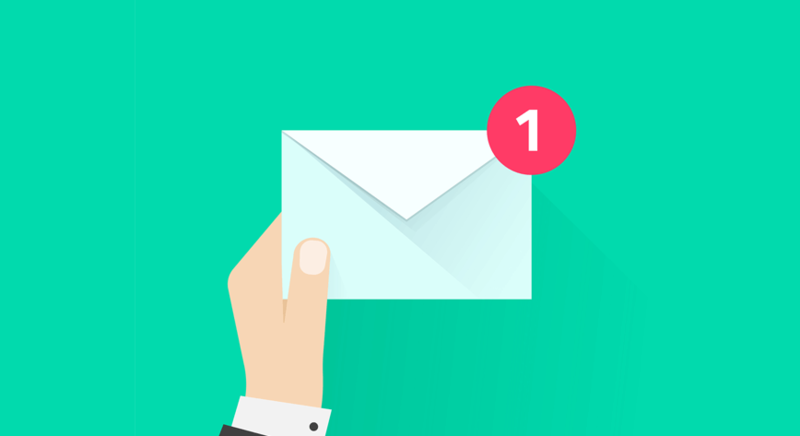 SMS notifications for inbound leads can be very useful potentially – especially if you are in a situation where you might not normally be keeping an eye on your emails or if you are more likely to see an SMS message before an email. In WordPress there are a few methods, one is to make use of the Clockwork SMS add-on plugin for Contact Form 7. Alternatively you can make use of the WordPress SMS plugin (free | pro) which works with multiple SMS gateways. Using IFTTT, WordPress and Gmail it is possible to set up iPhone/Android push notifications on mobile/tablets, and update hundreds of other different devices and APIs. In theory you could set anything up from an alert on team member phones, post a tweet or instagram from a protected account, to changing the colours of the lights in the office! We couldn’t go into them all as there are so many different potential applications, but they should mostly all be possible to achieve using Gmail and other recipe channels in IFTTT. Contact Form DB works with pretty much all of the main contact form plugins (Contact Form 7 (CF7), Fast Secure Contact Form, JetPack, Gravity Forms, WR ContactForm, Formidable Forms, Quform, Ninja Forms, Caldera Forms, CFormsII, FormCraft Premium, Enfold theme forms). The plugin can be configured to log and store all (or specific) contact form messages in a WordPress dashboard accessible database you can view later. If you have email connectivity problems or emails are lost or blocked by a spam filter/firewall somewhere between your server and email box, you will be incredibly glad you had this set up – as it can set up to save a full copy of every message direct to your server. To save your contact form messages to Google Docs the simplest solution is to set up an IFTTT Gmail to Google Drive recipe. Using this method you can save all inbound messages (or those containing a word/phrase) to a Google Docs spreadsheet. If your contact form is susceptible to spam submissions, the last thing you want is a notification every time you get a spam message (potentially 100s of times a day). Ideally you want to cut spam off at the source as much as possible, such as using a Google reCAPTCHA on your contact form. Wherever and whenever you transmit or store customer data you should be conscious of information security and privacy considerations. Laws and regulations will differ depending on where you are in the world, but as a general rule you should always follow security best practices to make sure data is kept in a secure manner. Are you a business owner that wants to get more customers and traffic to your website? Search Candy are a Manchester based SEO company – we can help you generate targeted new customers and visitors – get in touch to find out more.